Managed a team of artists to maintain house style and adhere to strict deadlines. Worked closely with web designer, game designers, programmers, and QA. Buy pages were laid out for easy reading and easy purchase. Purchases were made with in-game currency that players earn through completing mini-games (stars) or in-game currency bought with real money (eCoins). FANTAGE had in-game events correlating with the seasons and holidays. 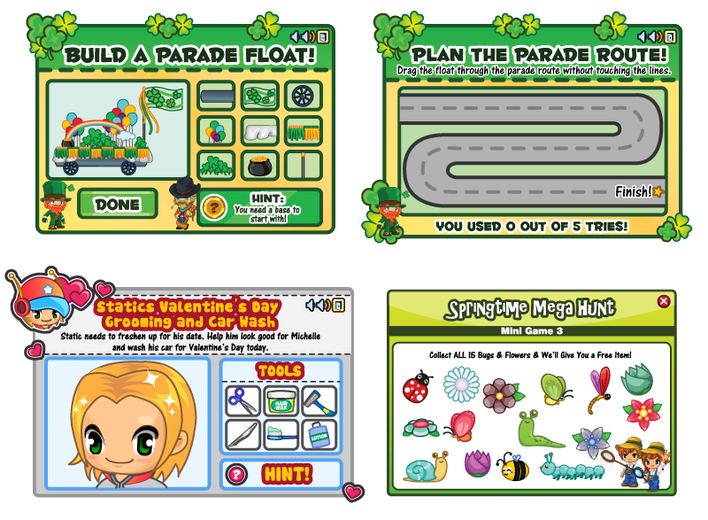 Mini-games were designed around simple interactions and encouraged exploration of the virtual world. 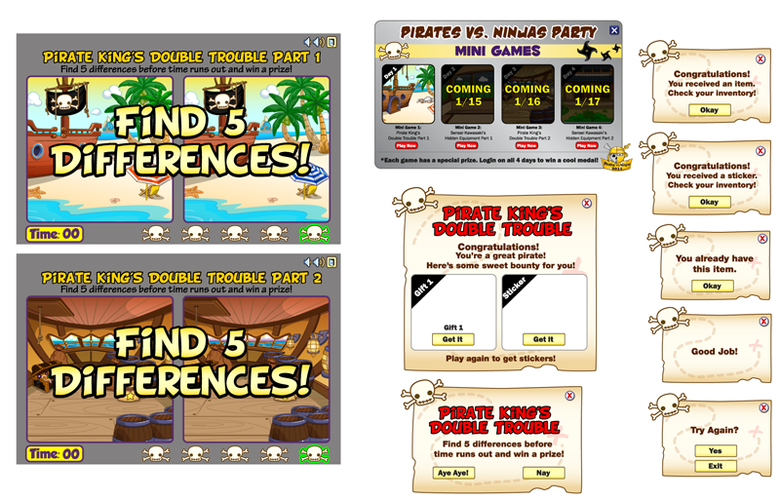 Mini-game layout and pop-ups for the Pirates vs. Ninjas event. 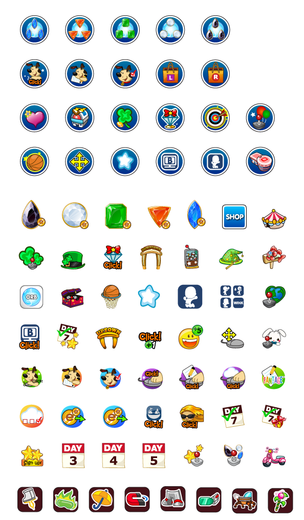 A series of icons used for FANTAGE’s achievement system.